Amanda Scogins began her dance career as a Kilgore College Rangerette and has received her Associates in Fine Arts as well as her BA in Fine Arts from SHSU. She has been the Director of Houston’s Planet Funk Studio, MA Dance Head Instructor and National’s adjudicator, and performer with Sheryl Murakami’s T(H)RASH in NYC. Amanda’s professional accomplishments include working with Lady Gaga on MTV, Beyonce’s “Ego” video, Laura Ann Gibson’s BET’s 106 and Park and Maybelline cosmetics commercial choreography. 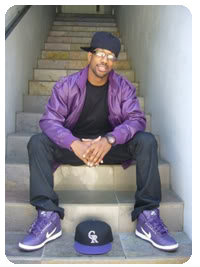 Dancer and choreographer Lil’ C, was born in Los Angeles, California. He began his career in 2001, and later grew to prominence in krump dancing; he appeared in music videos for Jennifer Lopez, Missy Elliot, Christina Milian, Gwen Stefani and Madonna. He was one of the dancers profiled in Rize, a 2005 documentary following the rise of krumping as a dance style. From there, he started choreographing performances for the Teen Choice Awards, American Music Awards and NAACP Image Awards, as well as a routine in the television series Bones. Lil’ C, who also appeared in the films Stomp the Yard and Be Cool, is perhaps best known as a choreographer and guest judge for the reality show So You Think You Can Dance. He joined from the second season in 2006, where he worked on routines for the contestants and gave his thoughts on the performances as well. He was also featured in the art installation Slow Dancing, which showed five seconds of his movement stretched to ten minutes and played back in several cities across the world. Erick is currently teaching at Amsterdam Dance Center in The Netherlands. He was a former stunt aerialist & dancer for Walt Disney World with stage credits with Kelly Clarkson, Jessica Simpson & Destiny’s Child. Erick is also accomplished in Guard and Drum Corps and a 16 year Marching Auxillaries and Dance Staff member. He will be Teaching Lyrical and Jazz workshops at Adagio this year. Selena began her dancing career at a very young age in Grapevine, Texas. She studied Ballet, Pointe, Jazz and Hip Hop extensively in her hometown studio and on her award winning high school drill team. From there, she made the decision to join Marching Auxiliaries of Dallas, Texas where she perfected her teaching and choreographing gifts. She became a Head Instructor for six years during the summers and spent her remaining time earning her B.S. in Dance from Texas State University. After leaving college, Selena joined Roustabouts Dance Company for four years. Selena also joined Majestic Ballet Company, where she still remains a company member. We had the wonderful opportunity to have Selena as an Artist in Residence for Adagio’s 2006-2007 season. She plans to remain an integral part of Adagio’s staff by visiting frequently and maintaining a close relationship with its dancers. Cory McTaggart grew up in Ottawa, IL and took dance lessons her entire childhood, including numerous dance conventions and competitions. Throughout high school and community college, she taught at a local dance studio for 6 years before attending Illinois State University where she graduated with her B.S. in Education. While at ISU, Cory was a member of the University’s Redline Express Dance Team, performing at all home athletic events. Cory has been a cheerleading coach at several schools and has been a judge for ISU’s dance team tryouts and also for numerous pom and cheerleading tryouts at several surrounding high schools.Cory taught elementary school for several years out of college before choosing to stay home with her family. During that time of teaching Cory was awarded the 2005 Teacher of the Year for Pike County through Wal-Mart’s National Teacher of the Year program. In 2010, she returned to teaching dance at Adagio School of Performing Arts in Ottawa and continues there today. Jeanne Armstrong began dancing at the age of 4, training with several different instructors throughout the years. Although she enjoys all genres of dance, she has a deep down love for tap. 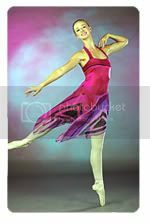 Jeanne owned and operated Jeanne Marie’s School of Dance for 23 years where she had the pleasure of being a part of Rachel’s dance education. Throughout those years, she attended workshops and became certified through Dance Educators of America and Chicago National Association of Dance Masters, of which she has been a member for over 30 years. She has had extensive experience with choreography for dance productions and competition teams. Earlier in her career, she was the co-sponsor and choreographer for the Ottawa Pomerettes. She also did some competition choreography for the Marquette Crusaderettes. 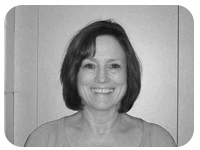 Jeanne has a BA in Elementary Education and a MA in Reading. She taught 4th grade for 5 years, did reading assessment for 1 year, and is currently a Title I Reading teacher at Centennial School in Streator, IL. She is also a certified Zumba instructor and currently teaches at the Ottawa YMCA. Jeanne and her husband John have three children, John Thomas, Brad, and Carlie and have recently added two grandchildren John Carter, and Grady James. She is very happy to be working with Rachel and thrilled to be a part of the Adagio family! Lauren began dancing at the age of ten, when Adagio first opened its doors in 2005. She trained in ballet, jazz, modern, hip hop, and was on the competition team. She also did gymnastics and poms. She began teaching at Adagio when she was fifteen. After graduating high school, she studied dance at Columbia College Chicago for two years and has taught at various dance studios in the suburbs of Chicago and Savannah, Georgia since then. 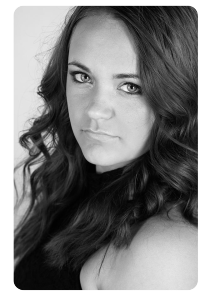 In October 2014, Lauren will move to New York City to continue her dance career at AMDA. She is thrilled to be back with her dance family at Adagio and to be a part of the team for Summer Dance Festival. Donnette Cannonie is a professional dancer, choreographer, and teacher from Chicago, IL. She is most recently the co-founder and director of Dylan Artists Management, Inc. Trained in multiple styles, Donnette has worked as a versatile dancer nationally and internationally with many companies and artists. Working in both the concert and commercial world of dance, highlights include performing for Vanity Fair, Marshall Field’s, Taylor Dane, Kellogg’s, the DIFFA event at the Field Museum, Toby Keith and in the film Roll Bounce featuring Bow Wow and Nick Cannon. She spent seven seasons dancing with The Dance COLEctive and 5 seasons as their Executive Director. She was also a company member with Corpo Dance Co. and has performed as a guest artist with various companies. 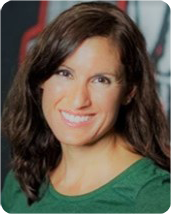 She is a former dancer and former head coach of the nationally ranked college dance team at the University of Illinois-Chicago, with performances on WGN, CBS, and ESPN. Her choreography has been presented by the Alabama Dance Summit, Ballet Tennessee, The Dance COLEctive, the IPOP! Conventions in LA and Las Vegas, several dance programs and competitive dance teams and she recently worked as one of the choreographers for Scotland’s National Dance Team. Donnette has had the privilege to teach master classes and workshops across the country and abroad for various universities, studios and dance programs including Ballet Tennessee, the University of Tennessee-Chattanooga, Columbia College summer program, and has spent the past six summers teaching at the Alabama Ballet, originally under the direction of Wes Chapman, current ABT II Artistic Director. Donnette has been a guest judge for ScotCheer/ScotDance, WCA Dance Nationals, the Miss Chicago Pageant for the Miss America Organization, as well as local and state dance competitions across the United States. She is most recently choreographing for R/B artist Safia Jalila on her upcoming music videos and live stage performances. Donnette is a graduate of Columbia College Chicago, where she received her B.A. in dance and performance. Since Jaclyn was three years old she has had numerous opportunities in the dance field. Beginning at ten years old Jaclyn was apart of the children’s cast in the Joffrey Ballet Nutcracker. This inspired her to become a ballerina herself one day. Striving to reach her goal Jaclyn trained under the most well known ballet choreographers and mistresses around today: Kenneth Von Heidecke, Watmora Casey, Tatyana Mazur and Sherry Moray. Two of which studied with legendary Prima Ballerina Assoluta, Maria Tallchief. Jaclyn has been awarded full summer intensive scholarships through competitions to locations across the states; such as, Atlantic City; New Jersey, and The University of Las Vegas; Nevada. More importantly, Jaclyn was selected with other top performers at the nationally known ballet competition Youth American Grand Prix to have a two week intensive at the New York City Ballet and Alvin Alley Studios. 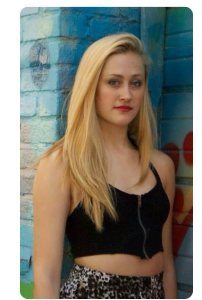 Through time Jaclyn has also trained in other styles of dance including jazz, tap, lyrical, pointe, modern, and hip hop. This variation of training has resulted in the opportunity to teach young and striving dancers just like herself. Jaclyn is now teaching with faculty that has been featured in music videos, toured with bands, and been apart of the musical “Wicked”. She is excited to work with young dancers and reach them to their fullest potential. Heather was born and raised in Ottawa, taking music lessons from some of Ottawa’s best music educators: Carol Amm, Roger Amm, Donna Martin, Sarah Reckmeyer, and Mary Rose. Upon graduating from Ottawa Township High School, she had studied piano for eleven years and flute for nine. 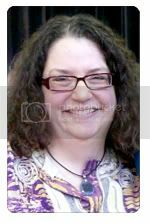 Heather attended Illinois Wesleyan University in Bloomington, IL, graduating with a Bachelors of Music Education (with an emphasis on flute) in 1995. While at IWU, she played flute in the Wind Ensemble and in the IWU Civic Orchestra. She was a member of both Sigma Alpha Iota (an professional fraternity for women musicians) and MENC (the national music education association), serving as President for both organizations. Since graduating from IWU, Heather has lead choirs and taught general music to over 2,100 elementary students in Morris, and now at Milton Pope Elementary in rural Marseilles. She continues to play flute and piano, and has earned 24 graduate hours studying and playing Afro-Cuban music and the music of Ghana, West Africa. After the birth of her daughter, she looked for a music class created for the under-five crowd, and found Music Together. Heather took her daughter to classes in Plainfield and fell in love with the smart and creative research-based program. She is undergoing training to offer the Music Together curriculum at Adagio, and in the meantime will be drawing upon her extensive “bag of tricks” to bring music and movement to Adagio’s littlest patrons and their caregivers. Barbara is a European trained Dalcroze Eurhythmics instructor and pianist. In 1980 she earned a Bachelor and Masters of Music with emphasis on Dalcroze Eurhythmics and Music Education at the State College of Music in Cologne, Germany, and in 2003 a Masters of Music at Northern Illinois University. She studied piano performance under Prof. Donald Walker and Dr. Theodore Edel. She is also a licensed pre-school educator. Her teaching career began in 1978, and over the years she has established extensive and profound teaching experience in the area of music education, piano and Dalcroze Eurhythmics with all ages in a wide spectrum of educational and therapeutic settings. Currently, she offers Dalcroze Eurhythmics programs nationwide, and has been employed as visiting faculty and clinician for Northern Illinois University, DePaul University in Chicago, Music Teacher National Association, Illinois State Music Teacher Association Conference and many others. She maintains a private piano studio and teaches piano and Dalcroze Eurhythmics at the Community School of the Arts NIU. She is an active performer of chamber music, and author of the book, The Golden Carousel- An Introduction to Classical Piano Music for Young Children, published in 2001 in Germany.